- 'Music is magic, it's there for the taking' sings Frank during 'Music Is Magic', a statement of considerable truth when concerning this particular album. Frank established his own identity outside that of his older brother Sylvester by crafting a career in music (which later turned to movies also), which first took form in the group Valentine with whom Frank recorded a lone self titled album in 1976. Following this Frank found fame through roles in the Rocky films, which he wrote several tracks for. Frank's big break came with the 'Staying Alive' soundtrack in 1983 in which he contributed three songs, including the top ten AOR classic 'Far From Over'. The song, co written with Vince DiCola also appeared on this, Frank's memorable stab at West Coast AOR. 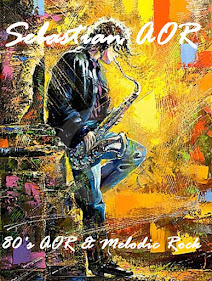 In the tradition of David Roberts and Gino Vanelli, Stallone managed to create a masterpiece of the genre which unfairly seems to have fallen shy of the radar, in terms of availability and recognition. 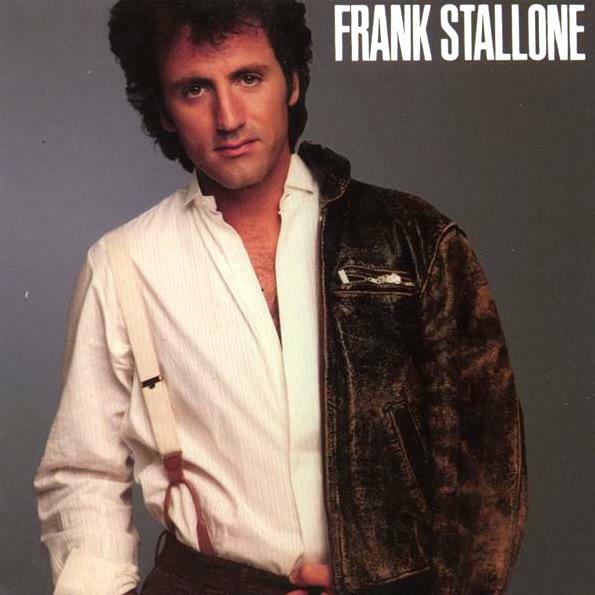 Taken solely on musical merit, 'Frank Stallone' easily stands alongside some of the best AOR of the 1980's. With DiCola by his side adding essential synth workouts, the whole album is a melodic delight. 'Runnin' soars with a searing hook, with keyboard passages that would later be heard on the 'Rocky IV' soundtrack from DiCola. The horn work brings Chicago to mind, and the whole affair is a masterpiece. The same can be said for 'Music Is Magic' and 'Love Is Like A Light', with the latter a West Coast gem which gives Toto a run for their money, the guitar solo brimming with class. 'Darlin' was a minor hit, and is slightly removed from the other tracks, with a slight fifties vibe and an organ solo. 'If We Ever Get Back' gets the heart rate racing with another indispensable chorus, while 'Far From Over' features a synth overload with impossibly thrilling time changes which define what AOR represents. 'She's So Popular' bounces along in jubilant fashion, the pumping keyboard interplay a fascinating listen. The West Coast connection surfaces heavily again with 'Once More, Never Again' which could pass for classic Player or even Christopher Cross. The albums highlight in my eyes is the complete AOR mastery of 'I Do Believe In You', which may be a genre top ten. It should be a crime to write such addictive music. Some unforgettable synthesizer runs and guitar workouts punctuated by Frank's tough and emotional vocals put it over the top. The somewhat subdued ballad 'Fly Together' ends the album on a sombre note, but is worthwhile all the same. - Stallone has worked as a singer in the tradition of American big band jazz and popular music, in a vocal style reminiscent of his idolFrank Sinatra. He tours with his own orchestra under conductor Paul Vesco, and has also worked with conductors Sammy Nestico andBilly May. Stallone has released a number of albums, including Day In Day Out with Sammy Nestico (1991; A1 Records: FSTCD1) and “Close Your Eyes” with Billy May (1996; Coolnote). Stallone wrote and performed “Far From Over” for the 1983 film Staying Alive. The song was released mid April 1983. The song peaked at #10 on the Billboard Hot 100, becoming his only major pop hit. The song was nominated for a Golden Globe award for Best Original Song from a Motion Picture and a Grammy Award for Best Album of Original Score Written for a Motion Picture or Television Special. A self-titled album soon followed from RSO, in the style of 1980s pop. The album featured a slightly remixed (and abridged) version of “Far From Over” as well as the song, “Darlin’,” which peaked at #81 on the Billboard Hot 100 in May 1984. 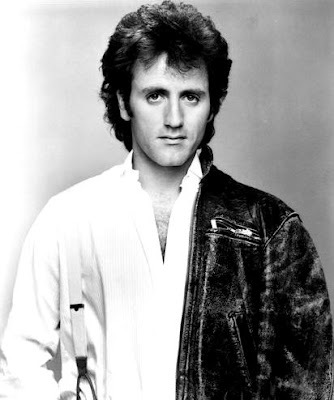 A perfect mix between 80s AOR and American Pop/Rock, an album filled with great keys, strong and melodic chorus lines and the superb voice of Frank Stallone. a true 80´s feeling to the bone.